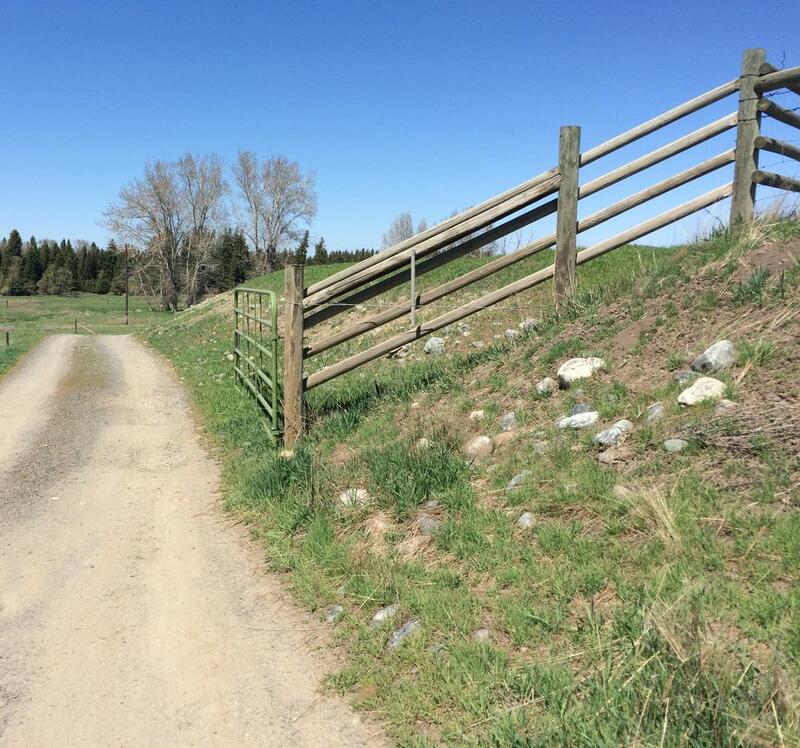 Constructed in 1994 this lovely two story farm house was designed to compliment the land. A wrap around porch floored with bricks, faces the south and west for a panoramic view. Chairs are provided to sit and soak in the beauty of the valley. We also have provided a large pellet burning grill. The rustic picnic table sits under the quaking aspen. The interior was designed to take full advantage of space with an open floor plan. It's a family kind of home. The main floor contains the kitchen, living and dining area, sun-room, utility room, and the master bedroom and bath. The master bedroom features a huge antique claw foot tub, a glass shower, and a sink set into an antique vanity. There is private bathroom with a pedestal sink and toilet though a door next to the vanity. The floor plan is very open with a half wall separating the kitchen and living room. The whole area makes the perfect gathering place. The living room includes big screen 50 inch TV is hooked to Direct TV, games for the whole family, a comfortable couch and two recliners. It is adjacent dining room is on the west with the four big windows looking out at the mountains. The sitting room/sun room is adjacent to the dining area and transitions into the master bedroom. The sitting room and master bedroom are separated by doors inset with antique leaded glass. There is a smaller flat screen TV in the Master bedroom with a DVD player. The galley style kitchen is well supplied with cookbooks, cooking utensils, pots and pans, dishes and plates, eating utensils, toaster, coffee maker, coffee bean grinder. microwave and some basic condiments. Hardwood floors in living and dining rooms and sitting/sun room. Carpet in bedrooms. Pennsylvania slate floors in kitchen and bathrooms. Memorabilia from our life here in the County. A beautiful custom wood staircase leads to the upstairs. At the top of the stairs is a private little alcove complete with an Queen Ann style table stocked with books and drawing and journaling materials. There are two upstairs bedrooms, one facing south and one facing north with beautiful windows in each. Upstairs is a second full bath which features an antique vanity and mirror, shower and tub combination, and quality cotton towels. 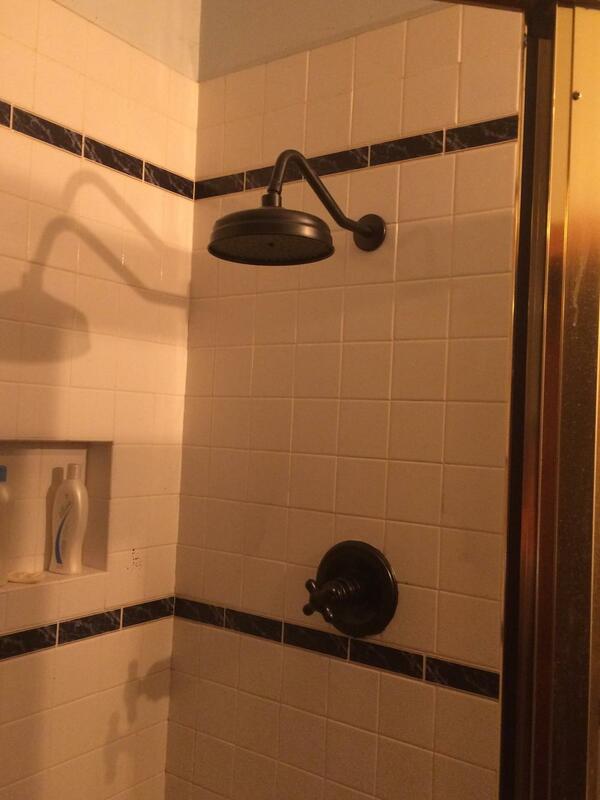 The shower has a rain shower head. 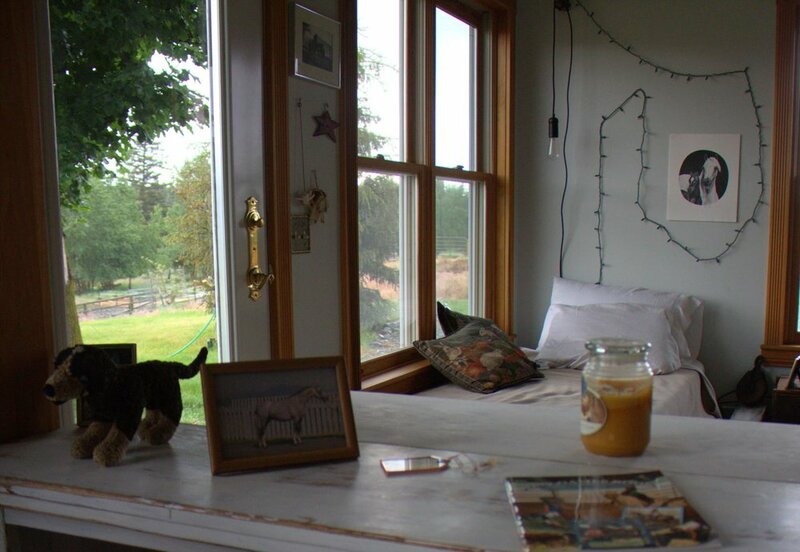 The home is furnished through with quality antiques and collectibles, which represent the history and life of the farm. There are bookcases of books on many subjects, including a library of horse training books and Welsh Pony Green Journals from the UK. Past champion Welsh Ponies photos are intermingled with limited edition prints and art from Living Sky Productions and other local artists. The platform beds were custom built by Bronson Log Homes in Enterprise using local wood. All the beds have queen-sized pillow top mattresses and the linens are lush 100 percent cotton. 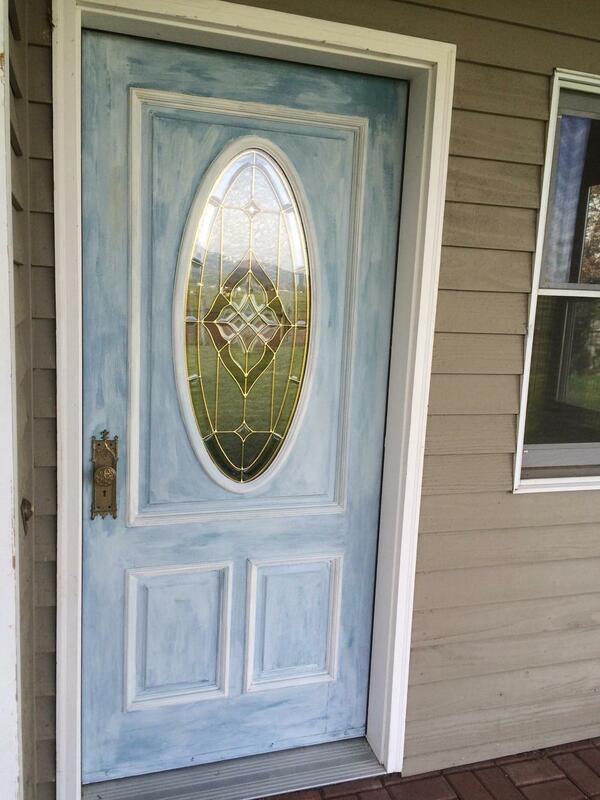 Many of the finishing touches came from Simply Sandy's shop in Joseph, Oregon. We provide fresh coffee beans roasted locally by Red Horse Coffee Traders in Joseph, Oregon. There are so many things to see and do here. We provide menus for all our favorite local restaurants, hiking maps, and information on what is happening in the County. Washer and dryer available for your use in utility room. Wi-fi through the house. There is a small desk/office area in the sitting/sun room. Click on any image below to watch a full size light show!